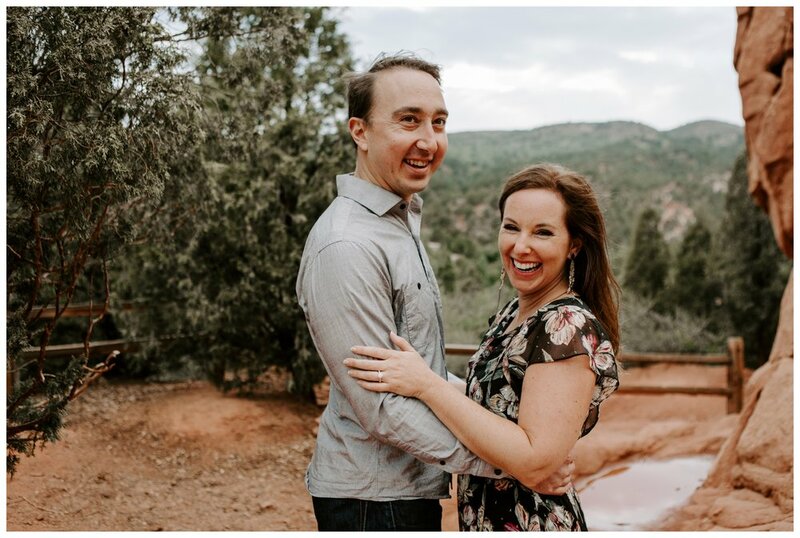 Venturing out to Colorado for Camilla + Matt's engagement shoot at The Garden of the Gods was quite literally a dream come true. I have a deep love for the desert and red rocks in general - and as much as I love my New England landscapes - working in a drastic change of scenery was incredibly refreshing. 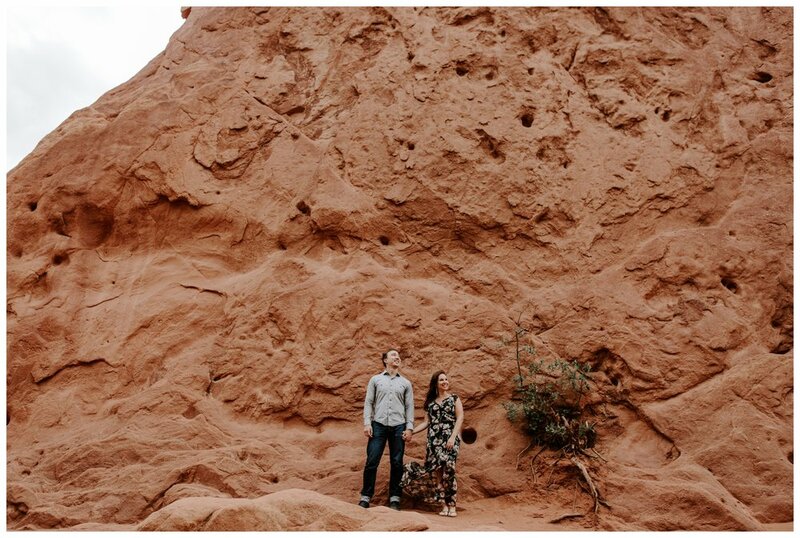 Especially with a fun, adventurous couple like Camilla + Matt. These two cuties met several years ago when they were both living in HAWAII. How freakin cool are they?! Matt popped the big question last summer on their trip to Provence. (Mr. Romantic over here!!) And here they are - planning a wedding back where all the magic began - in HAWAII!!! 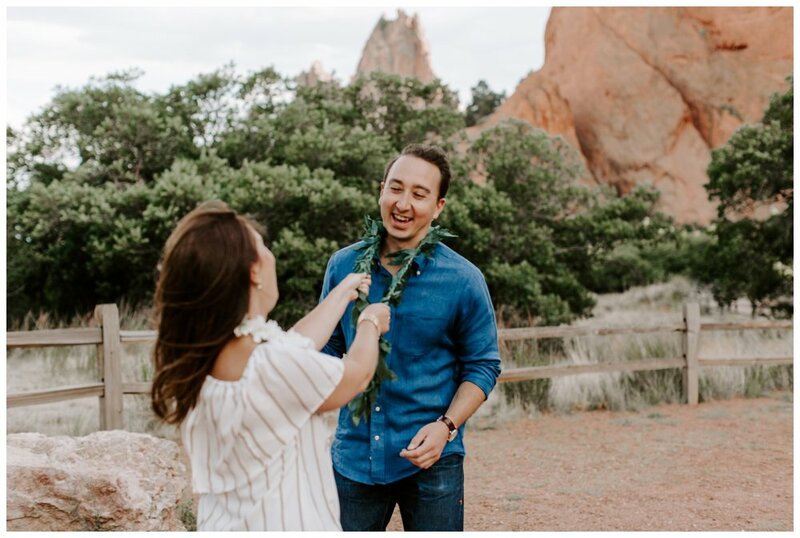 So of course, incorporating leis in their adventurous engagement was an absolute MUST! !